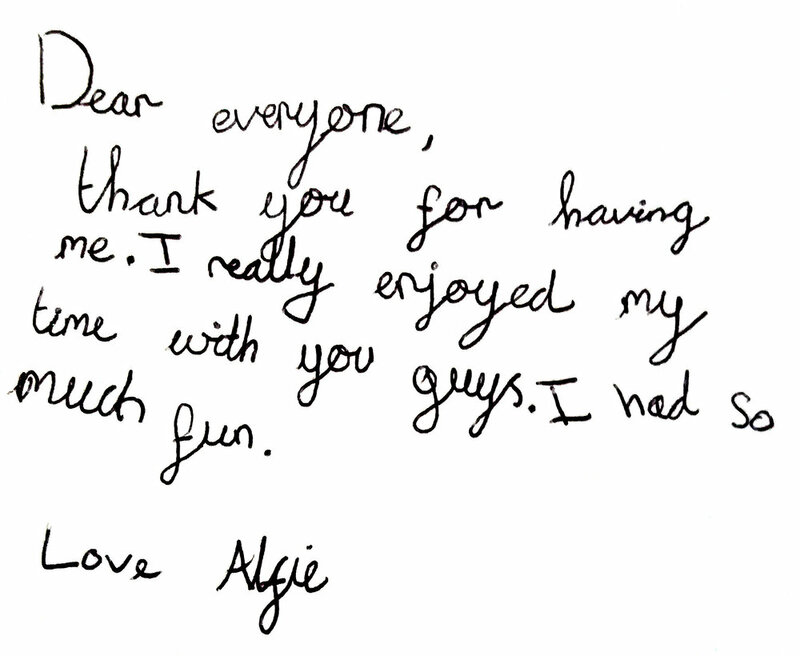 We are very happy when people say nice things, mostly we like looking after and helping the kids! "Dear Margaret, Emma, Richard and everyone at the Study Zone. A big thank you for looking after both my boys so well. It feels like the end of an era after the best part of ten years. The care you have given to both Alfie and Charlie has been exceptional, - warm, cosy and utterly reliable. Roger and I have really appreciated how much easier you have made all our lives. Many many thanks" Gill and Rog. "Well done to everyone who supports Lester with his homework. He has made spectacular progress with his reading. Thank you so much." Ann Coward. "A short note to thank you both for all your kindness and help in guiding Marlee over some of her hurdles in the last few years. The Study Zone has provided her with a secure, friendly and welcoming place to go after school to do her homework .... it has been invaluable as it provides reassurance in the sense we knew she was safe and being looked after by a caring and knowledgable group of people who enjoy their jobs ... We just wanted to say thanks!" "Dear Margaret, Thank you for having M over the last half term. She had a super time and got lots of homework done! It was good to know that she was in such good hands. Thank you so much ... With love from Angela." "Dear Margaret, Emma and everyone at the Study Zone. A token to say thank you for your care of F over the last few years. It was an enormous help to have this continuity during the transition to Waldegrave and although she is taking a break from you in year 9 I am sure she will be back for GCSE study support!" Cathy and Frank. "To everyone at the Study Zone. Thank you for making N's time there enjoyable whilst learning a lot (and keeping him in line :) ) I hope you all have a lovely summer and look forward to seeing you in September."